that we may be called the children of God"
Teens will not be "officially" signed up to help until either registered online, or the form is returned to the Parish Office. Teen helpers are rising 6th - 12th graders, and are assigned on a first come/first serve basis. 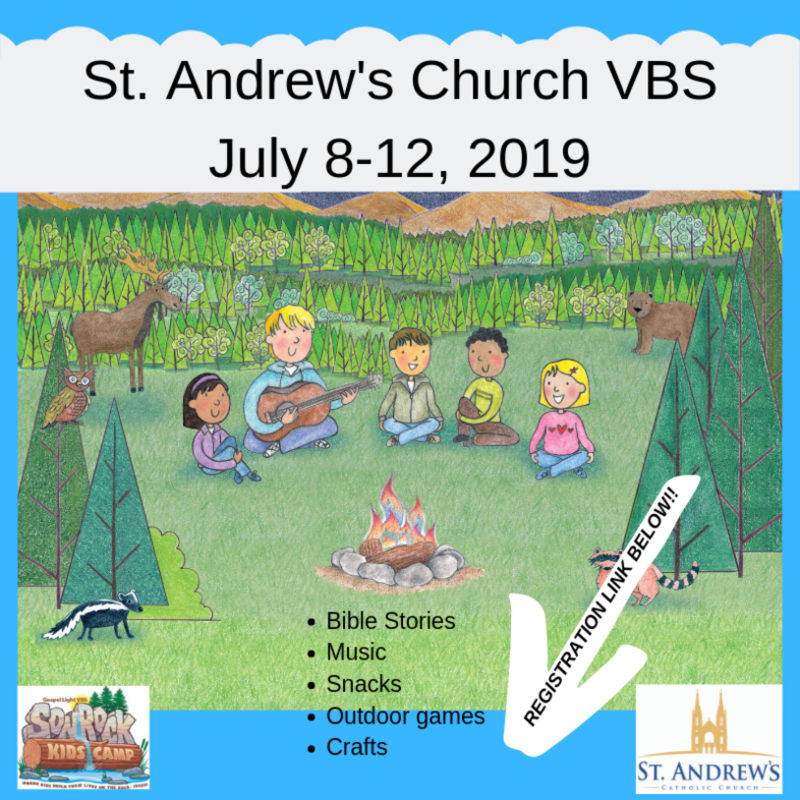 Questions about teens helping at VBS can be directed to Kathy Boyer at 344-9814 or kboyer@standrewsva.org. Teens in grades 8-12 are eligible to be in the daily skit! No previous acting experience necessary, but you must be able to speak loudly and clearly.